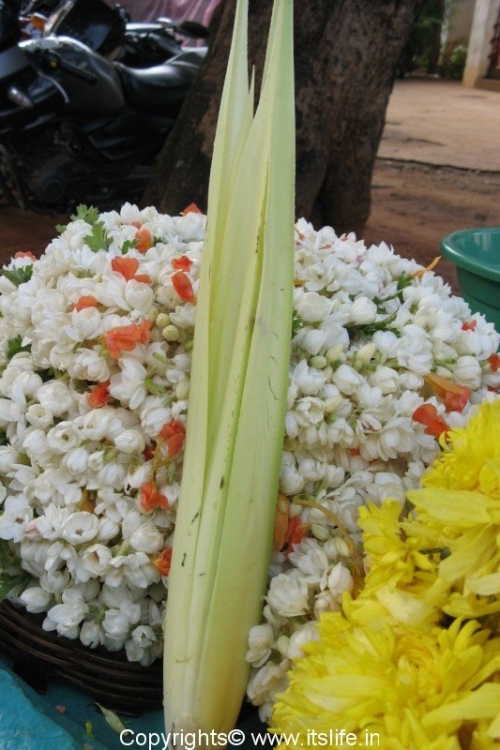 Known as Kedage or Taale Hoovu in Kannada, this exotic and expensive flower is bought once a year to adorn the idols during the festival season (August-September). The other names for Kewda are Fragrant Screw Pine, Ketaki, Jambala, and so on. 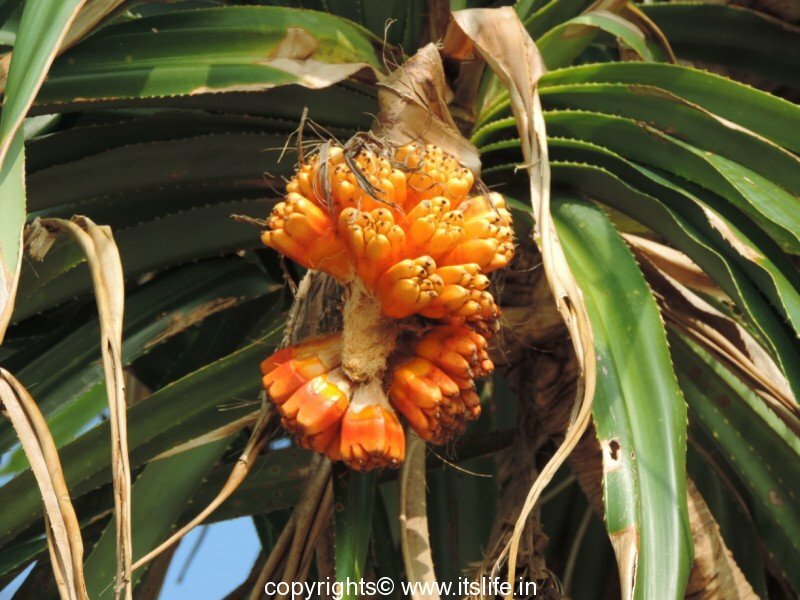 The botanical name is Pandanus odorifer belonging to the family, Pandanaceae (Screw pine family). As these flowers were expensive, I thought it was very difficult neither to procure them nor to actually see them in bloom in its natural environment. 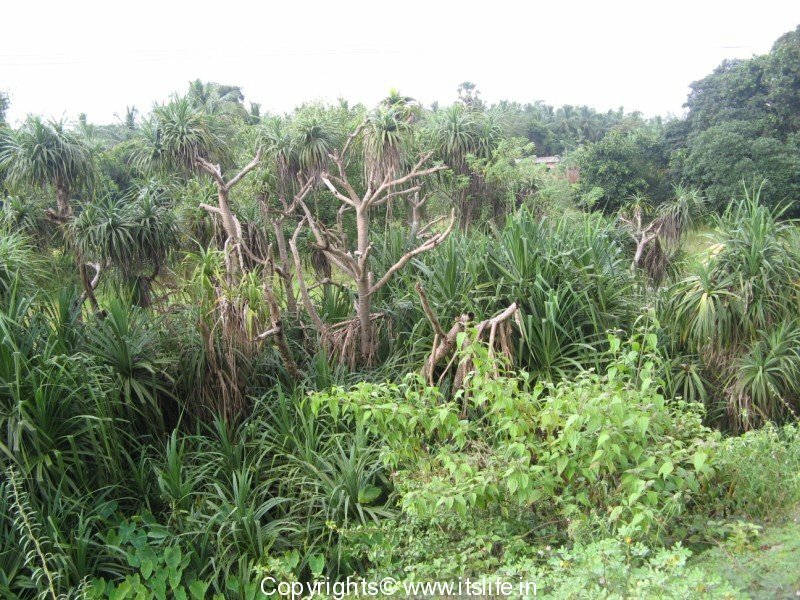 Contrary to my belief, I found that most of the islands in Ranganathittu are bordered by Kewda plants! And also found out that only the male flowers are fragrant and much sought after in the perfumery and aromatic oil industry. This summarizes the reason for the high rates of the flowers and its availability. I also came across plants in bloom in forests near Jog Falls and the Karnataka coastal region. Kewda / Fragrant Screw Pine is a densely branched tree or shrub found wild in Southern India, Malaysia, Burma, Sri Lanka, Thailand, and Indonesia. The trunk of the plant is thin and flexible. The leaves are long-pointed, dark green, thick with spines at the edges. 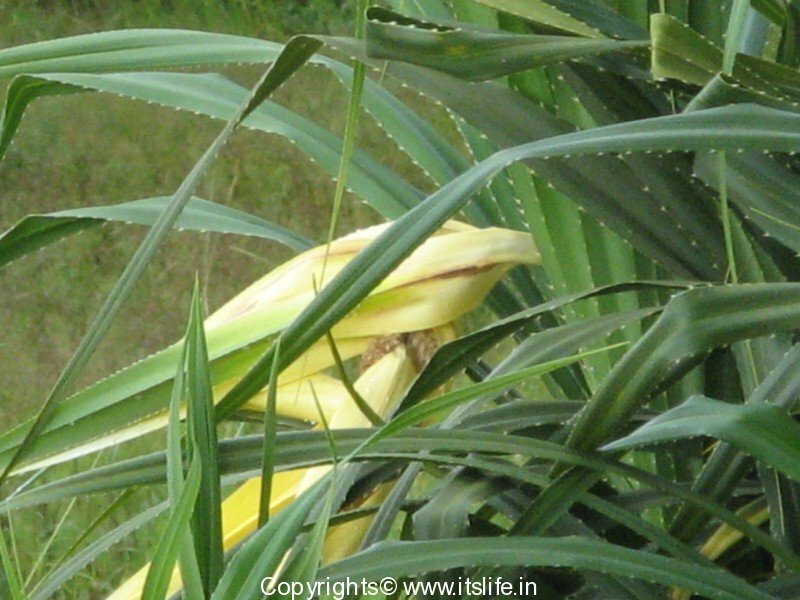 In Karnataka region, the plant bloom from July to September. 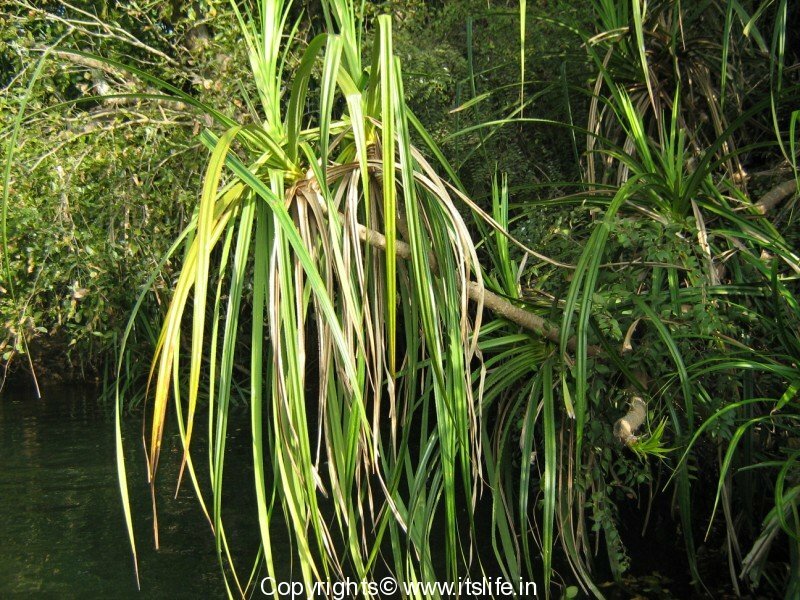 Kewda plants have aerial roots. The tree grows to a height of 18 feet. Kewda plants need high moisture levels to grow. The flower inflorescence is 10 – 20 inches long. 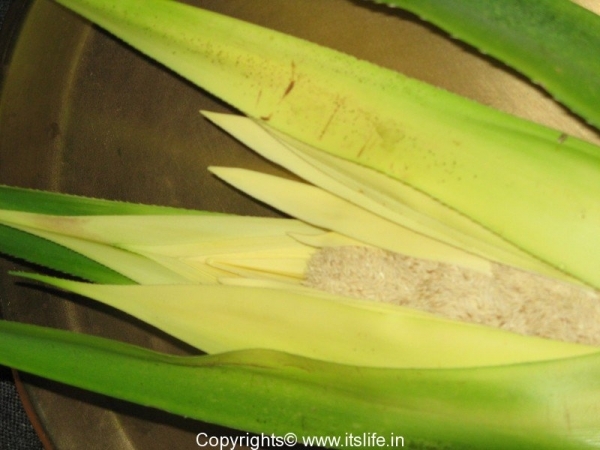 The central stalk of spike contains the true flowers each encased in a fragrant cream colored spathe. The spathe is leaf like structure with a wonderful aroma. A fully matured Kewda tree produces about 30 – 40 flower spikes each year. Each of these flowers weighs approximately 150 grams. 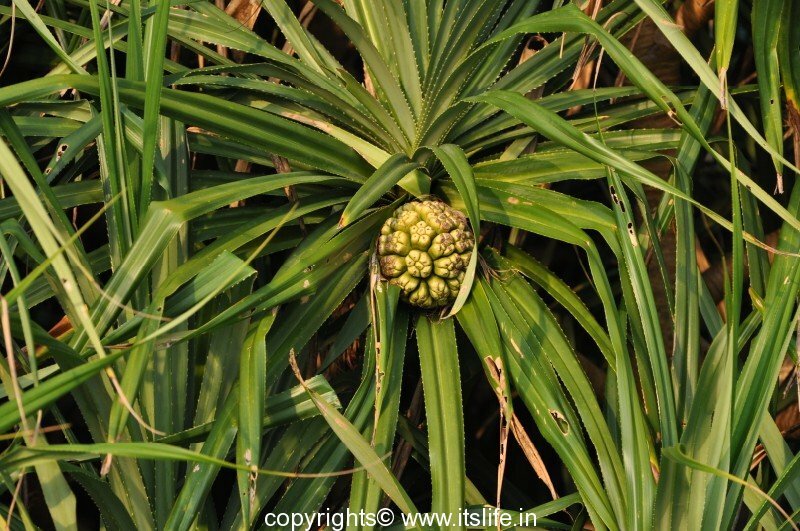 The pendulous fruits resemble Pineapple and have an aroma. I remember my mother used to collect the dried Kewda leaves after the festival and keep them in between her silk saris. The leaves though dry will give out a pleasant aroma. 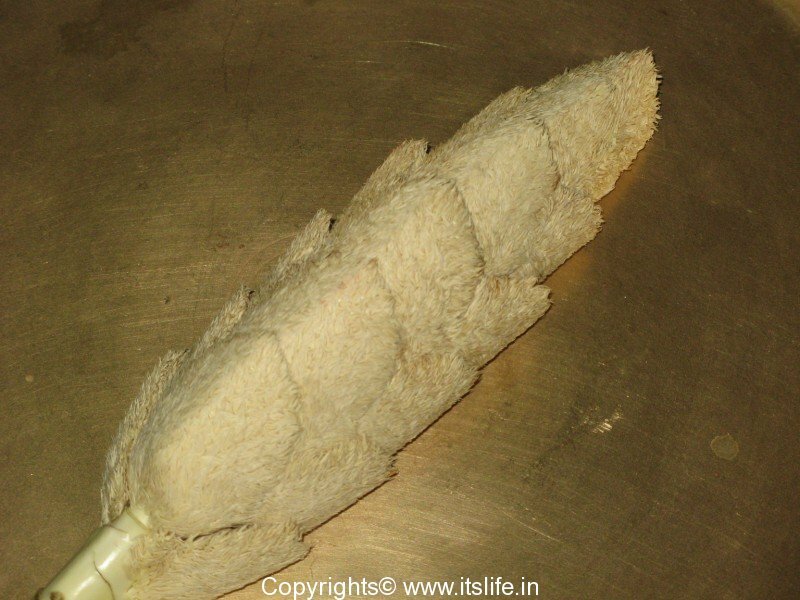 The flower has fascinated women for long and during season, girls hair would be plaited with the Kewda spathe. This type of hair style was known as Kedage jade / Kewda plait. It is also imitated in gold and silver as hair accessory. 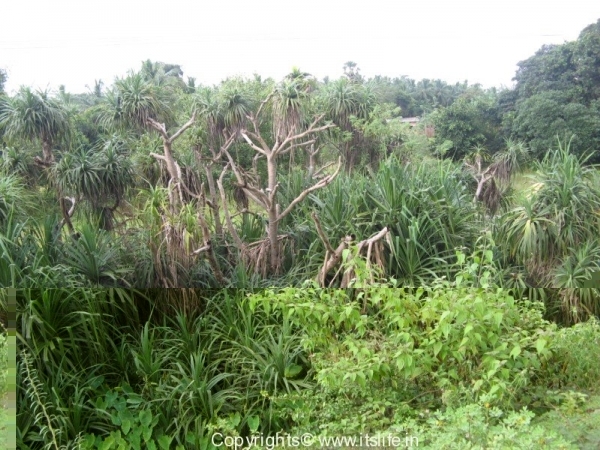 Every part of the Kewda plant has medicinal value. 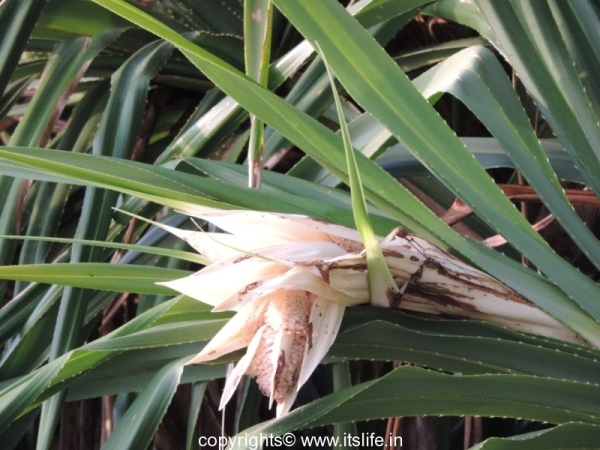 The flowers are used to cure scalp and skin ailments. The anthers are used to treat epilepsy and sore throat. The spike is used to treat rheumatic arthritis in animals. 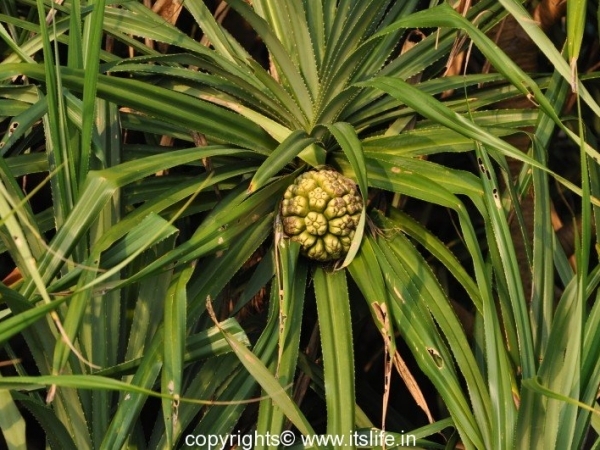 The leaves are used to treat leprosy, syphilis, scabies, and so on. The roots are used to treat leprosy, ulcers, skin diseases, flatulence, fever, diabetes, and so on. 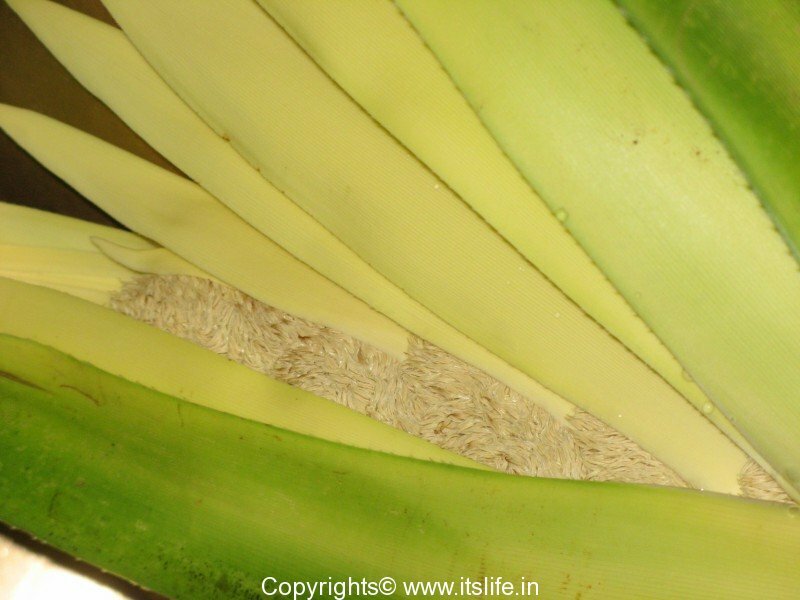 The leaves of Kewda plant are used in Srilankan, Thai, Malayasian and Indonesian cuisine. This enhances the flavor of plain rice cooked in coconut milk. 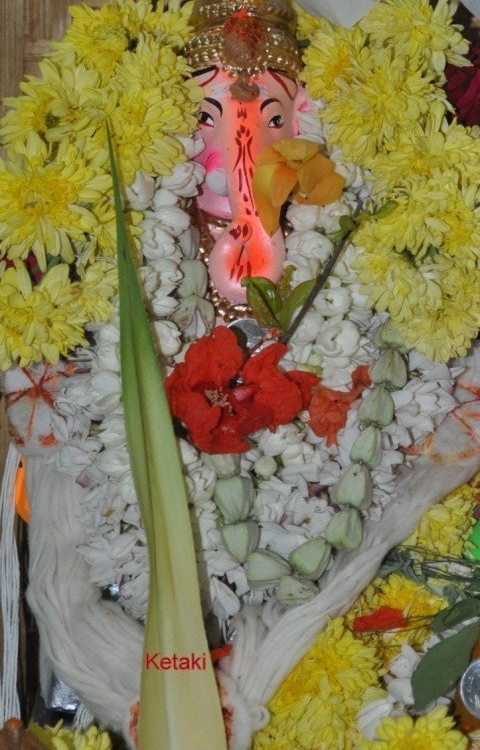 Ketaki flower is offered to Lord Ganesha during 21 Pushpa pooja while chanting the below mantra: “Om Dwija Priyaya Namaha, Ketaki Pushpam Samarpayami”. 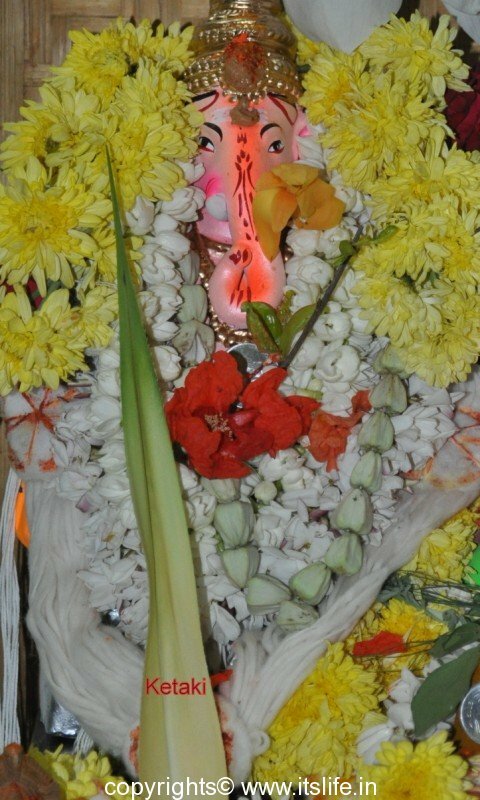 The flower is also offered to Goddess Gowri and Lakshmi during Swarna Gowri Vrata and Varamahalakshmi. Ketaki Flower is extremely expensive during the festival season. 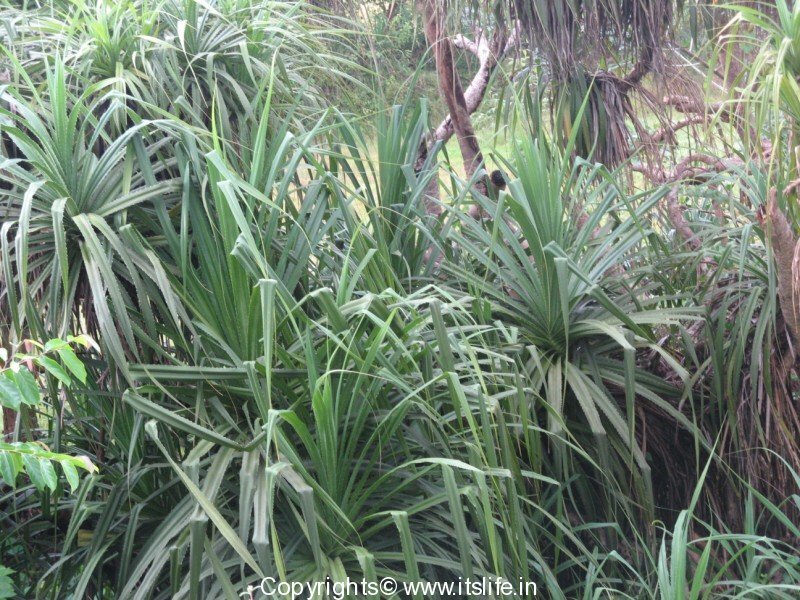 The leaves of the Kewda plant are used to make mats, hats, bags and baskets. The roots of the plant are used to bind the baskets. The leaves are also used to make paper and to thatch roofs. 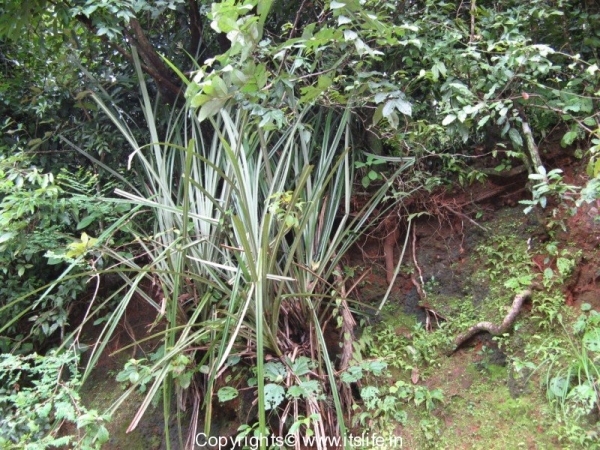 The fibrous roots of Kewda are used to make coarse paint brushes. Sorry, absolutely no idea when you can find in Maharashtra. Hello Ms. Shantha great photos. I feel i know this place, is it at modankapu, Bantwal. This is not Modankapu, but cannot pinpoint the exact place. As we traverse through the coastal region, you will find Kewda plant lining the water bodies. Can we get huge quantity of Pandnus means kewda trees in Karnataka or Goa. I hope some reader with this information responds. Sorry, I am not of help regarding this. 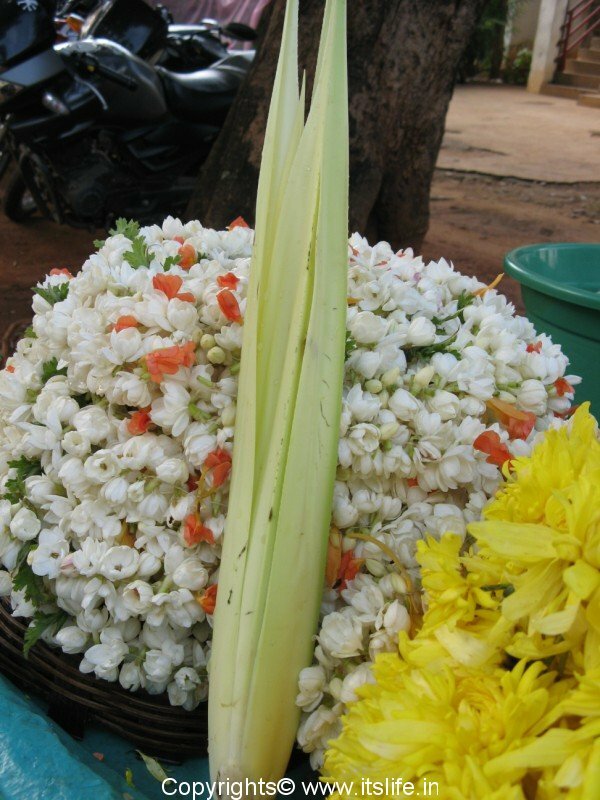 Where will I get this flower in Bangalore? Please tell me. Which market in Bangalore? Can I get it this week in Bangalore?